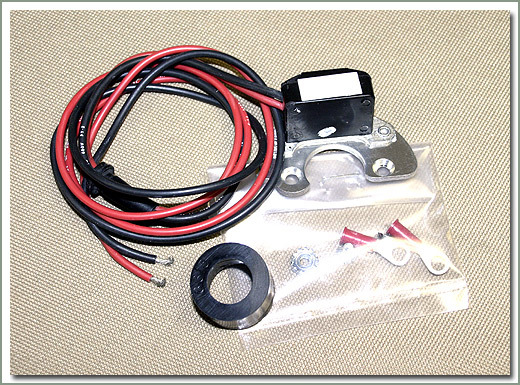 Pertronix Electronic Ignition Kit is an easy to install solid-state electronic ignition system that eliminates the points. 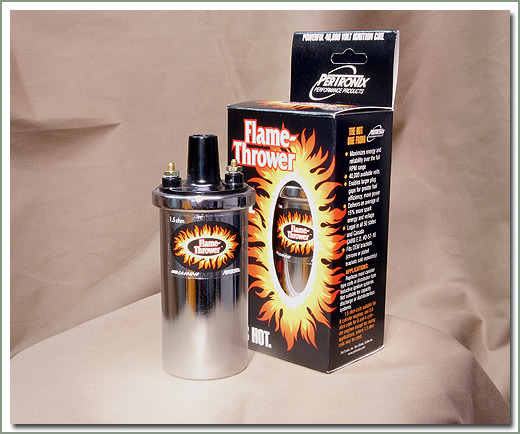 Ignition time is delivered by rotating cobalt magnets, mounted on the distributor shaft. All electronics are molded in an epoxy protecting them from deterioration from dirt, oil, grease and moisture. The electronics fit entirely in the distributor, eliminating any external "black box". Fits 1958-1974 Except 1974 California model (use 024-120B instead) - 024-120A replaces 2 piece type points that mount with 1 screw. Fits 1975-9/77 and 1974 California models. 024-120B replaces 1 piece type points that mount with 2 screws. 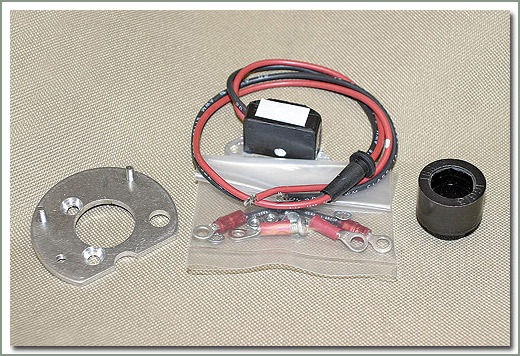 Fits 1958-9/77 with Pertronix Electronic Ignition Conversion. 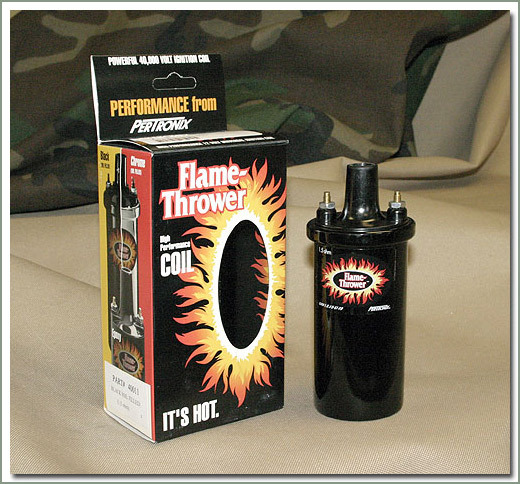 Fits Flame Thrower ignition coils only. 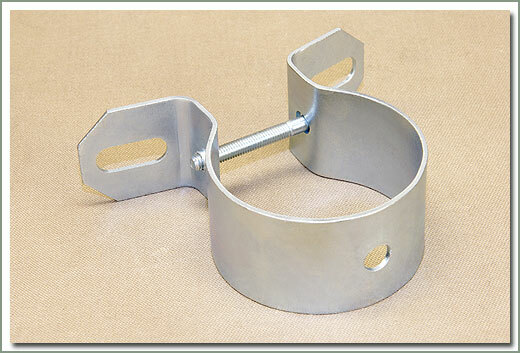 Mounting in stock location will require modification on some year vehicles.